Still talking about wedding dresses here on the blog, I ended up doing a selection of dresses with vintage style with lace details, that is something that is super trendy! 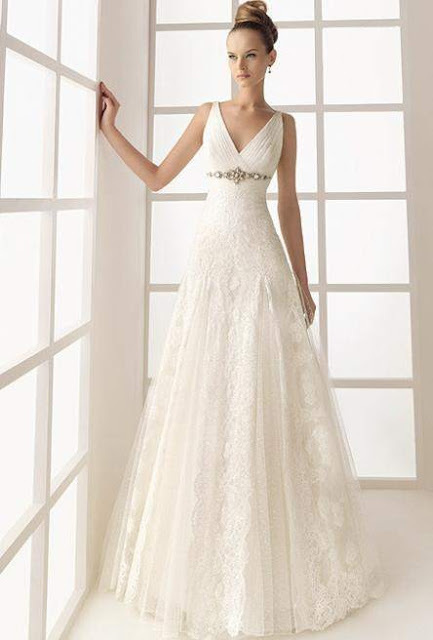 As well the Weddings at the Beach that has become increasingly popular, Vintage Lace Wedding Dresses are also increasingly on the wishlist of who want to get married! 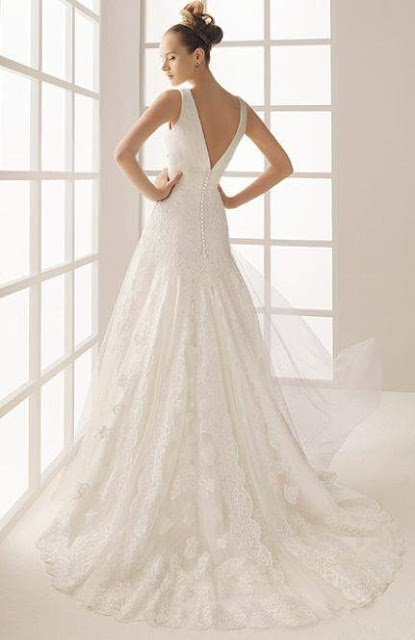 This kind of detail, the lace, It is a trend for Wedding Dresses 2016. And I super agree that it is a very beautiful finish and is perfect for multiple personalities, from the most retro / vintage, romantic to the more modern bride! I visited the site Landybridal, which makes beautiful dresses for godmothers mother of the bride, bridesmaid, flower girl, invited, and of course, wedding dresses! They also make some accessories. They work with it for 15 years, and its products are of high quality! Long sleeve dress with illusion lace on the bodice and back. I loved this model because it has a mix of modern and vintage, the laces are retro but the mermaid structure in the body is more modern, I fell in love! This is a dress A line, I like this more than the princess style, which is much more open and bulky. I think that the neckline is very delicate and retro look and the skirt is super classic, with a very long and beautiful tail! We can not forget the lace details! This model is a style "trumpet", which is like the mermaid, but more open at the end. Loved his design in the body, and found the very discreet neckline, this model goes for those who like to show only the chest and shoulder, and I think that is a charm! This dress has a skirt also in A line, but more subtle. 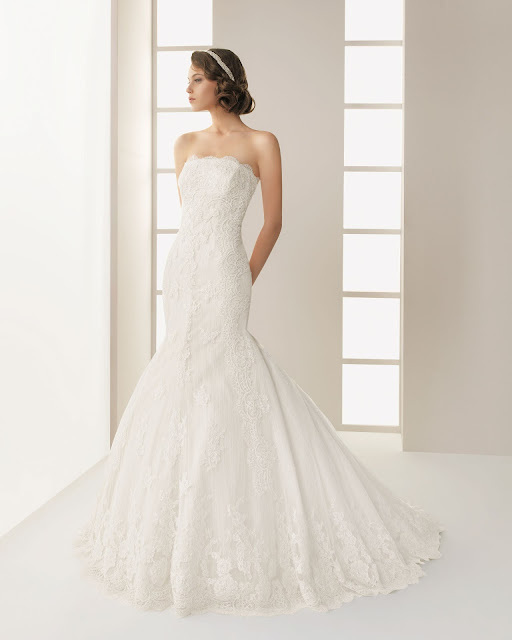 Has a lot lace and it makes him even more romantic! 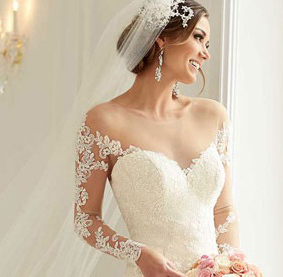 What I loved most in this model are the lace covering the chest, leaving the show only the shoulders and this gives a different touch on the dress! This model also has A line, but it's less open than other earlier, and has V-neck either in the front, as the back, and I found this very charming detail! The neckline also has a retro look, I thought it was beautiful! I dare say that this was my favorite of this selection! Tell me then, what of these did you like most?